an RFID tracking system, with thousands of products each fitted with an active RFID tag, with many distributed RFID readers sending data to computers that process information and share it with other organizations in different countries. Or it can be anything in between. But most RFID systems are set up to track products through a single organization where items are given an ID when they first enter a factory or are introduced to a process. While the large applications such as tracking large quantities of product drive the manufacture of the hardware and software items needed to create these systems, there are many other uses you can put RFID technology to. These are only limited by our imaginations. Enterprise subsystem (usually needed). Computer/s process the ID data from the readers and turn it into useful information, store and display it or make it web-accessible. Once you understand the big picture it helps you understand the different ways you can apply RFID, and the RFID system you need to do this. The RF sub system is made up of tags and readers and uses wireless technology. The information is carried between tag and reader by electromagnetic energy in the Radio Frequency (RF) part of the spectrum. The simplest RFID system has a single tag and a single, and simple, RFID reader. For example, an RFID cat door is a simple RFID system. You put an RFID collar around your cat’s neck and enter its ID number into the reader. When the cat approaches the door, the reader reads the ID from the RFID tag in the collar, and compares it with the ID that you programmed into the reader. If they match, it unlatches the RFID cat door and the cat can go in. If you get another cat you simply give it a collar with a different ID and add the new ID to the reader. Then you have a two tag, one reader system. You could do the same with ten cats. Then you’d have a ten tag, one reader system. This RFID system is so simple you don’t need a computer. The system is carrying out an access control function (lets authorized cats inside and keeps others out). It has no real need to store data. And say you have four RFID cat doors, in your cat research enterprise, and want to know which of your hundred cats prefers which door. This would be a hundred tag, four reader system and you would need a computer to record the ID of each cat each time it went through one of the four doors. You would connect the reader on each of the four cat doors to a computer. You could then automatically gather information about which cat went through which door, when and how many times. RFID middleware (or mid ware) is special software (a computer program) that runs on an enterprise computer server. It fits in the middle, between the readers and the enterprise subsystem’s computer database. But an RFID system is good for more than just tracking cats! 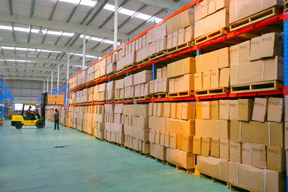 With RFID you can track items, from their manufacture in one country, right through to their delivery in another. You could arrange to be automatically notified as the items arrive. The tags attached to the items might be read as they enter the store at their destination. The ID data could then be transmitted wirelessly to the computer database of a nearby Enterprise Subsystem. Selected information from the database could then be transferred, via the Internet, to the originating Enterprise Subsystem, to advise you which items have arrived. This is one of the benefits of computers sharing information across organizations. RFID systems can be very different, depending on what you want to use them for. No one type of system suits all applications. Here are some general RFID applications. First, study your requirements in detail. What do you want your RFID system to achieve? You might want an RFID system to improve the efficiency or quality of your retail business by tracking stock items from incoming to point of sale. Is it in the list above? Perhaps it’s something new. There are plenty of great RFID applications just waiting to be created. RFID applications are only limited by your imagination. Either way, carefully specify what you want to achieve. What do you want to end up with? Get others to comment and input. This is part of your business plan. Plan it well, get it right and you’ll enjoy all the advantages of RFID. What environment will it have to work in? Will your RFID system be indoors or outdoors? Will it be in a wet or dry environment? Will it be subjected to extreme heat or cold? Will it have to withstand vibration? Will it come in contact with corrosive substances? Check the manufacturer’s specification (datasheet) to ensure that all components of your RFID system will operate during worst case conditions. While RFID tags and many other electronic devices have a typical upper temperature limit of around 70 degrees Celcius, their storage temperature is much higher. There are tags that can be exposed to temperatures up to 200 degrees Celcius. These are ideal for tagging items before they are put through a high temperature process such as painting, where the paint is cured by passing the tagged (painted) items through a heating booth. After the item has cooled down, the tags can be read. Not just the day you purchase all the bits you’ll need. This is a ‘cradle-to-grave’ exercise. There’ll be ongoing expenses and you need to factor these in. Will it need to change in the future? If so, how? Is the data likely to be commercially, personally or otherwise sensitive? If so, you will want to put some safeguards in place. Personally identifiable information is addressed by privacy laws and outside the scope of this website. You should check this out with the person in charge of privacy in your organization. You can put formal procedures in place to delete information from tags or even destroy the tags when they are no longer being used. Keep RF range as short as possible at the RF subsystem level. For example, a system that requires you to bring the tag right up close to the reader. 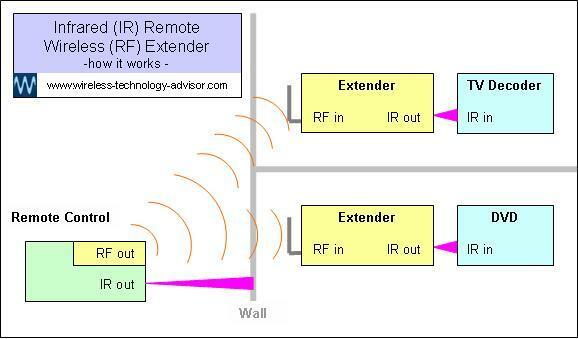 You may have an application in mind where you can’t afford to risk having anyone eavesdrop on your RF signal. 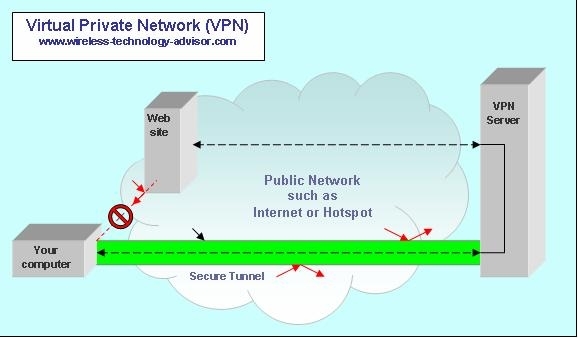 Use standard computer network security at the enterprise and inter-enterprise level. The risks – what are they and how do you manage them? You’ll need to identify and manage any potential risks. Here are some ways to minimize them. Keep RF subsystem spares, such as a spare reader, so that if one fails you can replace it quickly. Build your RFID system up in small, achievable, low-risk steps, to minimize the risk of partial or total system failure while you’re gaining experience. You don’t always have to change your whole operation over to RFID at the one time. Consider using barcode ID as well, to provide backup to the RFID, so that if someone can’t read the RFID tags then they can still read the barcodes. Backup your enterprise database regularly and routinely. What type of information will you have to process? Do you have to identify an item as a unique individual or just as the group that it belongs to (eg. TVs). A code used to identify a particular TV set would have to be very much bigger than the code used to identify it as a TV. Will the tagged items have to be read by other organizations in different countries? Not all frequencies can be used in all countries. You’ll need to check the individual regulations of each of the countries you want to track your products through. If different frequencies are used, you may need to use readers and tags that can use more than one frequency. These are referred to as agile. You could use a bar code as well, as insurance. How fast do you need to read the tags? If there are a lot of tagged items on a moving truck then you need to read them fast. You may only have a few seconds to read them before the tags move out of read range. You may need a system that uses Ultra High Frequencies (UHF) to enable you to achieve the necessary read speed. RFID tags to read the ID from them, and if the tags are programmable, to program them. The Enterprise computers to transfer the data for storage and processing. For example, a hand-held RFID scanner or a reader mounted on a fork lift. 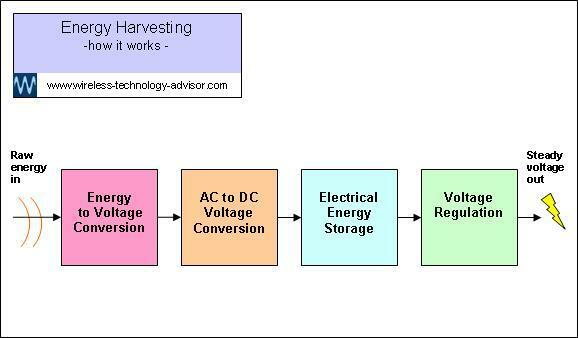 In this application long range is likely to be important. It’s unlikely you’d be worried about security. Someone eavesdropping on your RF signal is unlikely and would be unproductive. So you could use a reader/tag combination with the longest read range possible. Your main requirements would be security and reliability. The reader would be in a fixed and secure location, supported by a secure encrypted IT system. The RFID card and reader use a technology that ensures the card can only be read when very close to the reader, to minimize any chance of any unauthorized reading of the card, by receiving the RF signal. With credit card RFID the RFID tag embedded in the card would be powered by the reader’s RF field, so could have a passive tag without a battery. Each item moving through a manufacturing process would have a tag. For best results you should mount the reader in one place unless it has to be movable. If the manufacturing environment is wet, dirty, corrosive or inaccessible, then you’ll need to ensure that the reader is fit for purpose. It’ll need to be at least splash-proof (IP65 or better) and maybe vibration proof. Look for a reader that has a temperature rating that exceeds the temperature range of the environment it will have to work in. A tag may have special instructions programmed into it to tell the system that some special action is required. These have many benefits when you want to identify items wirelessly. They operate over distances up to 100 metres, have the intelligence to initiate a conditional transmission to a reader, can store a number that makes a tagged item ‘one-of-a-kind’ and can even store instructions about how to manufacture it, use it or look after it. You can read a truck-load of tagged items in seconds and private tag information can be secured by password or cleared on command.